Our long term parking offers value for longer stays and can save you some money for daily stays. Parking spaces are not pre-allocated so you can park in any available space. 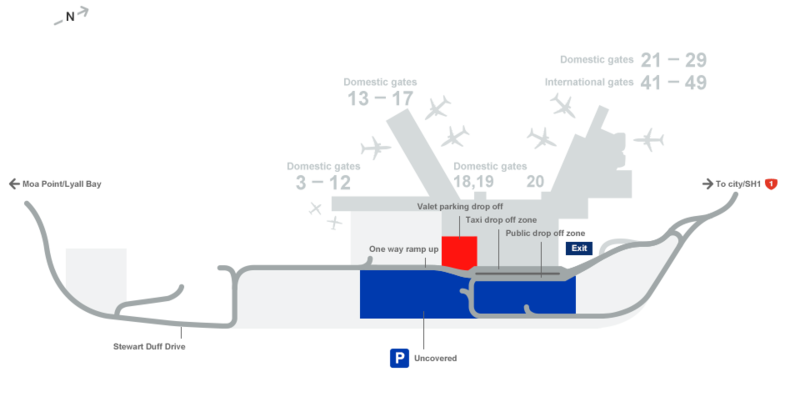 A complimentary shuttle operates 22 hours, 7 days a week (while the terminal is open) from the long term car park to the main terminal and back. Please note: The Long Term Shuttle is not set up for baby car seating. 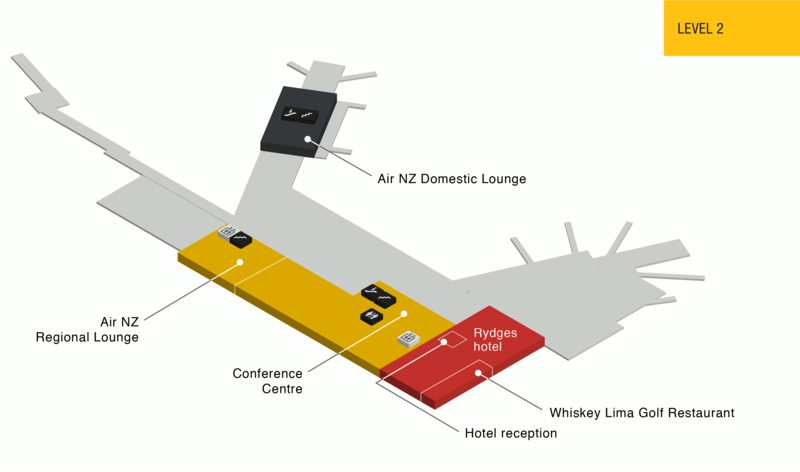 You should contact the Airport on (04) 801 0639 to make alternative arrangements. 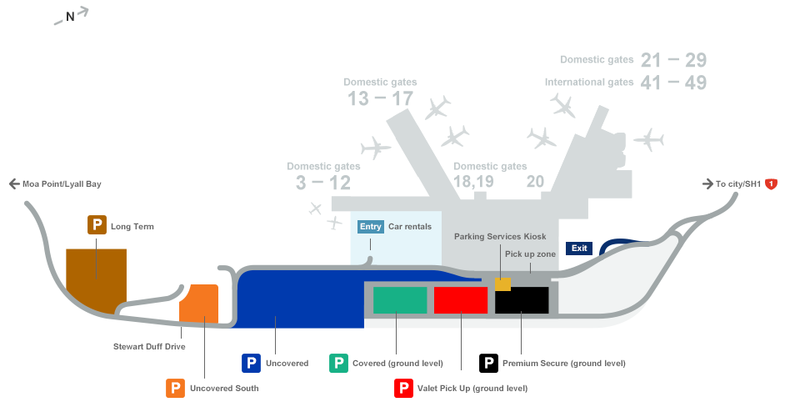 The long term car park is located at the southern end of the airport on Freight Drive. If you’re coming from the south coast, take the first turn from Moa Point Road onto Stewart Duff Drive. Then take the first left onto Freight Drive and follow the signs. 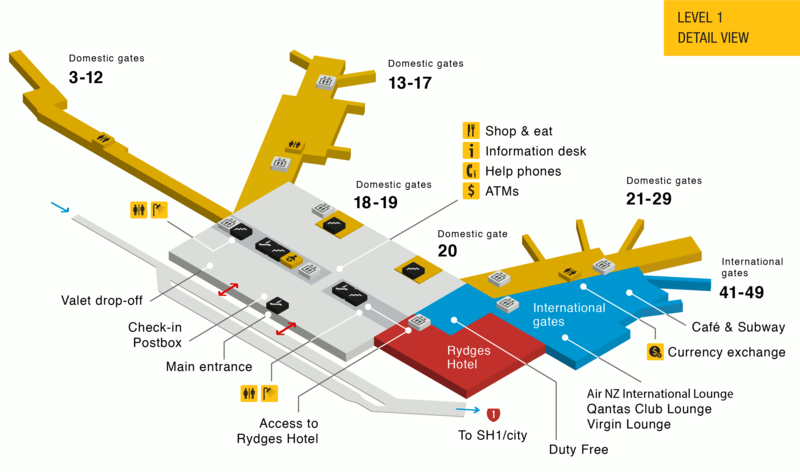 If you’re entering the airport from the city, enter through the left hand entry lanes by pulling a ticket at the entry gates. Drive past the Golf Club and when you reach the exit barriers at the Southern end, insert your ticket and continue south 900m along Stewart Duff Drive. Turn right into Freight Drive. The Long Term car park will be on your left. 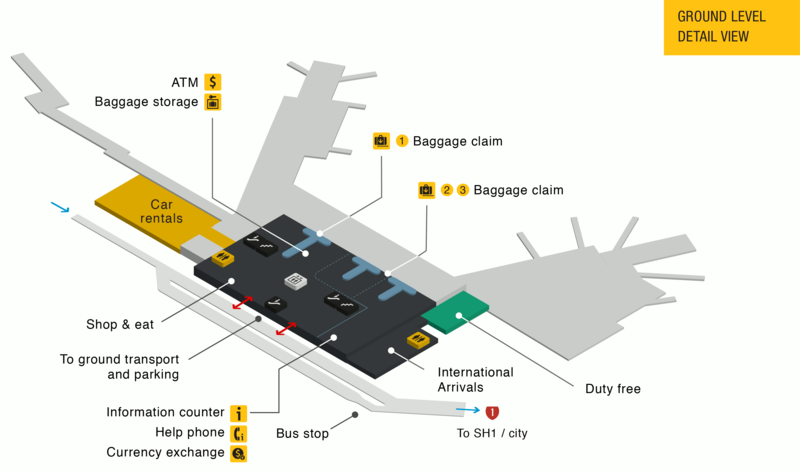 Upon arrival at the Long Term entry barrier your plate will be scanned for recognition of booking and a ticket will be issued automatically. The barrier arm will lift once you have taken your ticket. Keep the ticket as a back-up for your booking.